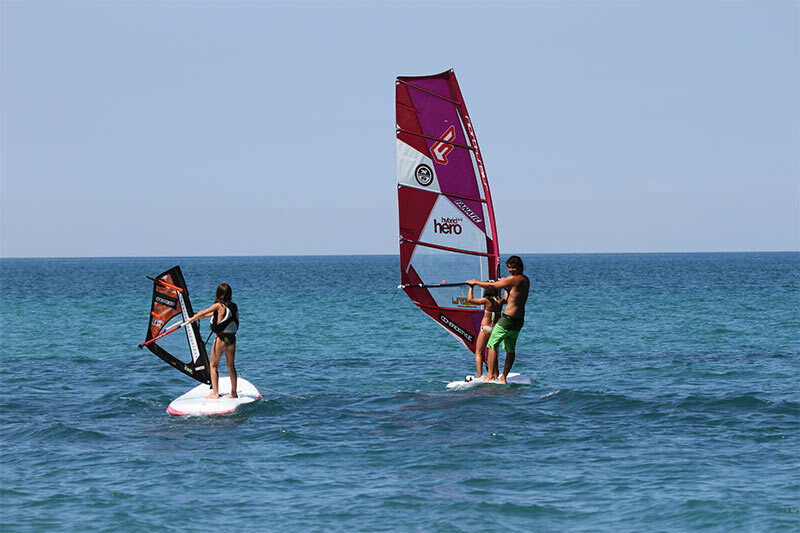 The practice of windsurfing is that which boasts a ten-year tradition in the waters of the Conero especially because they are ideal conditions and a considerable number of windy annual days such as to justify the large number of fans for generations. The commercial of Portonovo, is the one in which the Conerostyle School works with winds from E, SE and S. The wind conditions are generally medium / light in the morning and increase in intensity in the afternoon with the arrival of the legendary “Ostro” in the late afternoon, a thermal and constant wind that reaches an average intensity of 25/30 knots. 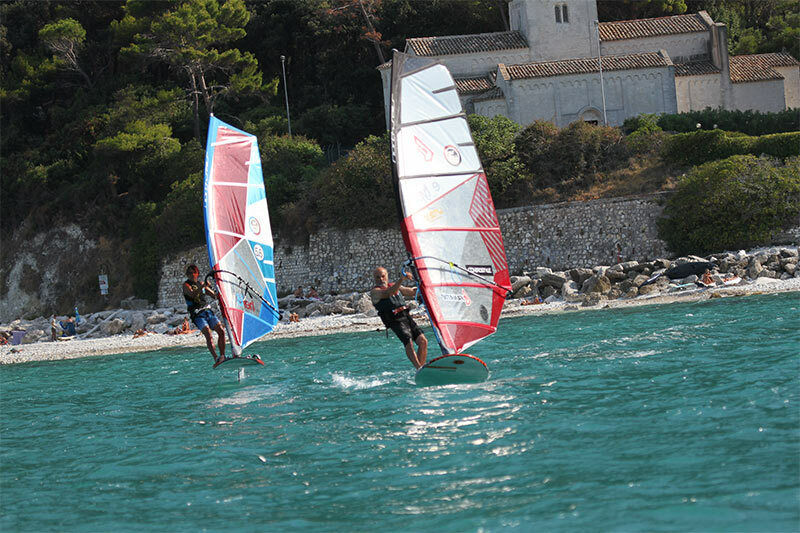 The afternoon scirocco offers the possibility to sail with sails from 6.3 to 5.3 and then switch to very small sails (4.7-4.2) when the Ostro starts to descend from the mountain ensuring the possibility of navigation until late at night with flat water conditions, ideal for freestyle discipline. 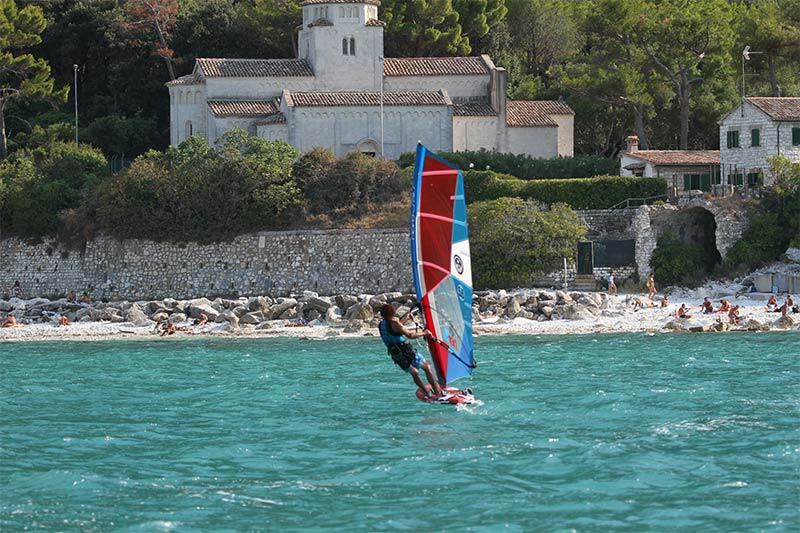 Having said that it is not difficult to imagine how windsurfing has been for years the primary activity of the Conerostyle School with internationally qualified VDWS instructors and tested courses for all levels and for all ages. The Conerostyle School offers all types of courses, rental of material, testing of new materials, storage and recovery at sea. 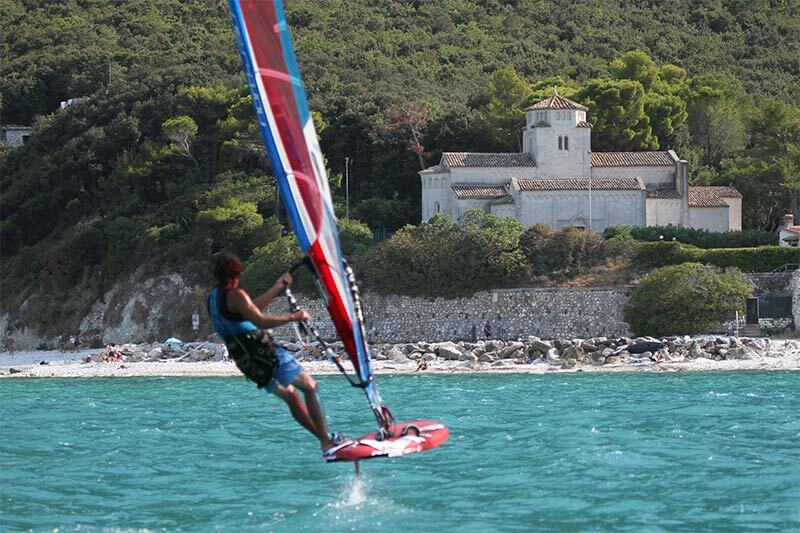 Find out in the section below the services that the Conerostyle school can offer you for Windsurfing in the Conero Riviera at the Portonovo and Marcelli offices. 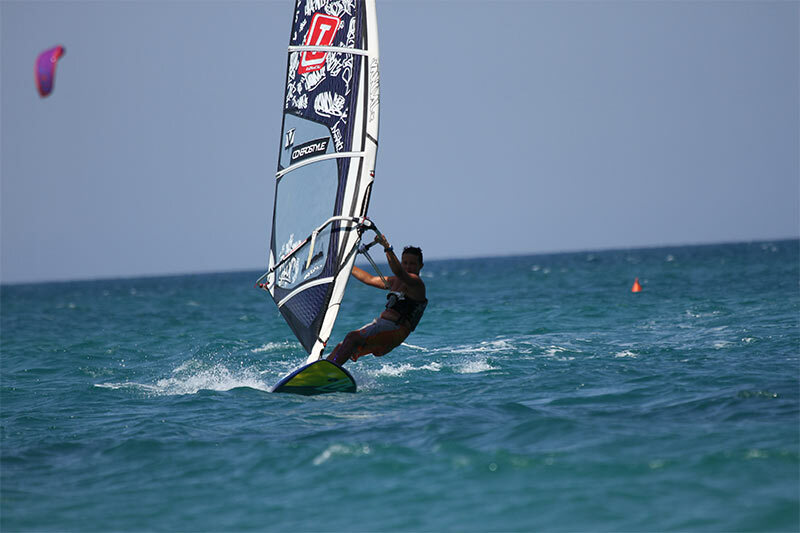 The teaching techniques developed by VDWS allow you to progress rapidly to such a level that already after the first hours of the course you can already have fun with the wind and windsurfing. The material is specifically designed for learning, making it enjoyable and without excessive effort. 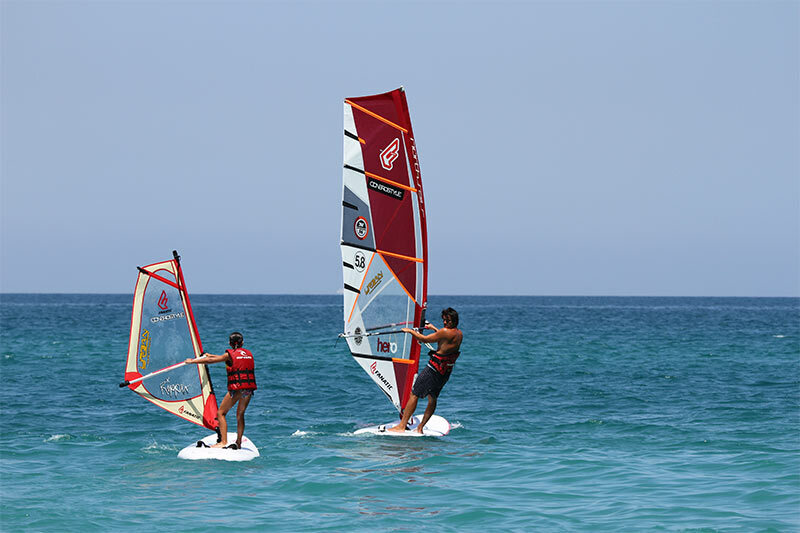 Participation in the courses includes automatically the registration and insurance coverage, the use of the table and the complete RIG, mute, lifejacket, trapeze. We have equipment specially designed for children (minimum 5 years). We recommend that you take group courses that allow you to have fun with other students and find incentives in the “competitiveness” that is created between them, despite this our instructors will always be very present during the lessons. 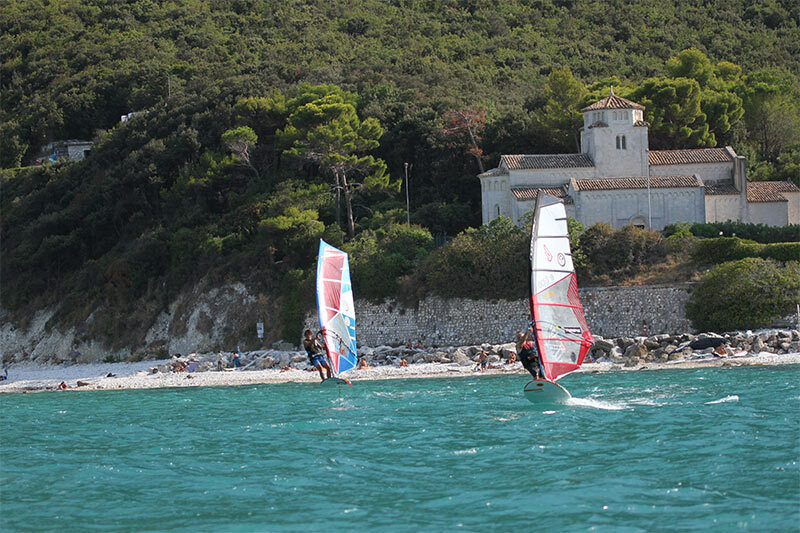 The courses for the WINDSURF activities are available at the offices of: Portonovo and Marcelli. The course includes a two-hour lesson that allows the student to navigate safely in autonomy; allows the student to understand if he wants to continue the course if he were already passionate. The course includes 3 lessons of 2 hours each, for a total of 6 hours that allow the student the basic techniques of the discipline, including the knowledge of gaits, the rules of precedence, the luff and the rest and turn. The course includes 5 lessons for a total of 10 hours, in which in addition to including the courses mentioned above, the student completes his knowledge about the basic techniques, with the jibe, and begins to handle his material with ease, feeling perfectly master. 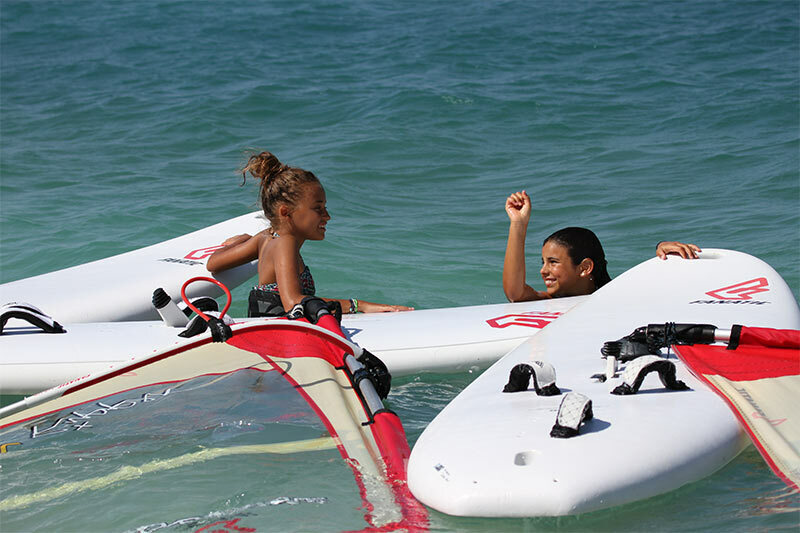 The school has the latest generation of materials that make windsurfing accessible to everyone. We have the latest Fanatic Viper school boards (220 liters to 150 liters) with concealed drift completely covered with shock-proof material. The tables are available in various litraggi depending on the level of the student. The sails are the North Sails Drive Cloth, ultra resistant and extremely light. 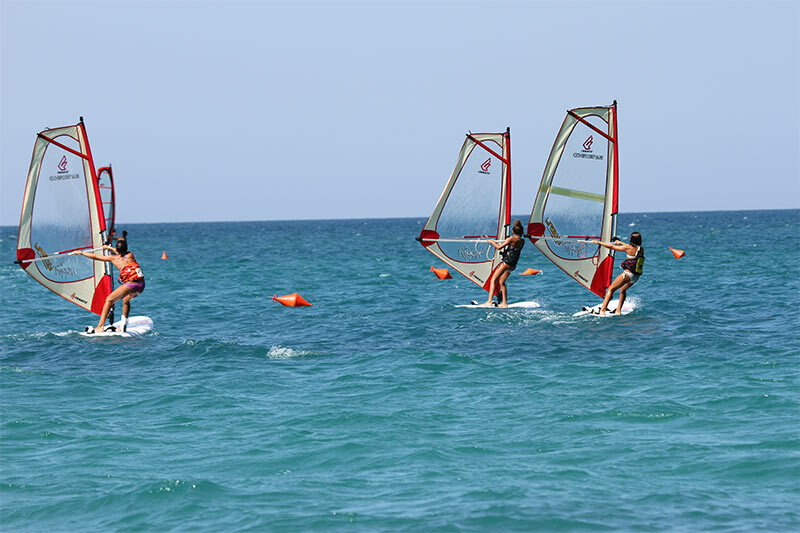 The sails are available in various sizes (from 1 sqm to 5 sqm) depending on the age and level of the student or the intensity of the wind. 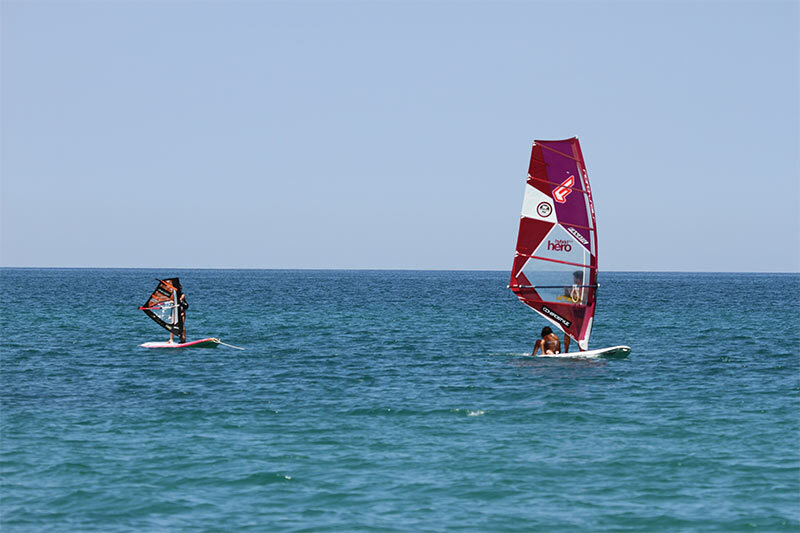 The sails are always all mounted and always ready for use; Suits are the latest RipCurl models available in every size and thickness. The Conerostyle School has the best materials available on the market for the rental and testing of new materials. We are equipped with a large variety of material based on the different weather conditions and at your level. 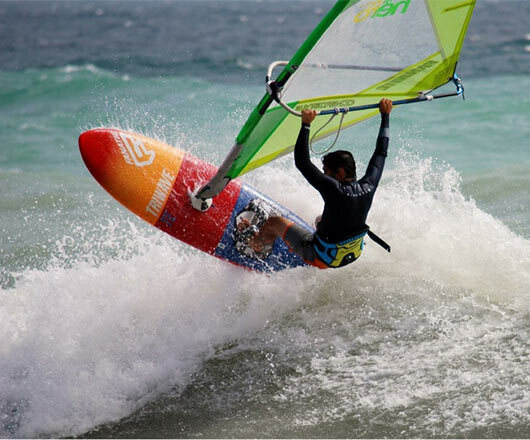 We have ultra light RIG and ready-to-use boards with sizes ranging from small 80-liter freestylewave to easier 240-liter boards. Our structure also provides customers with wetsuits, vests, trapezoids, helmets and accessories of all kinds to go out in all weather conditions. The rental of material for beginners is the same as you used during the course in order to immediately have a feeling when you find yourself at sea alone to practice what you learned in the lessons. 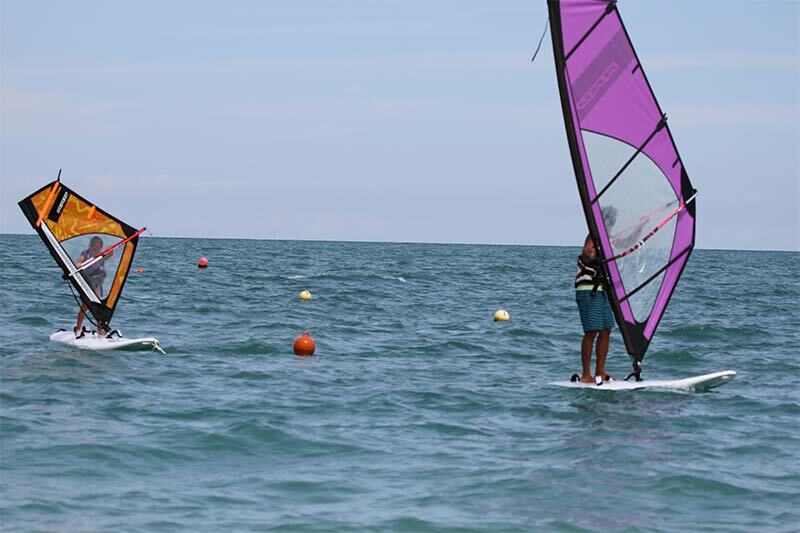 To ensure success in all your outings you can, during the rental, change board and sail, in order to always have the right material for every situation. 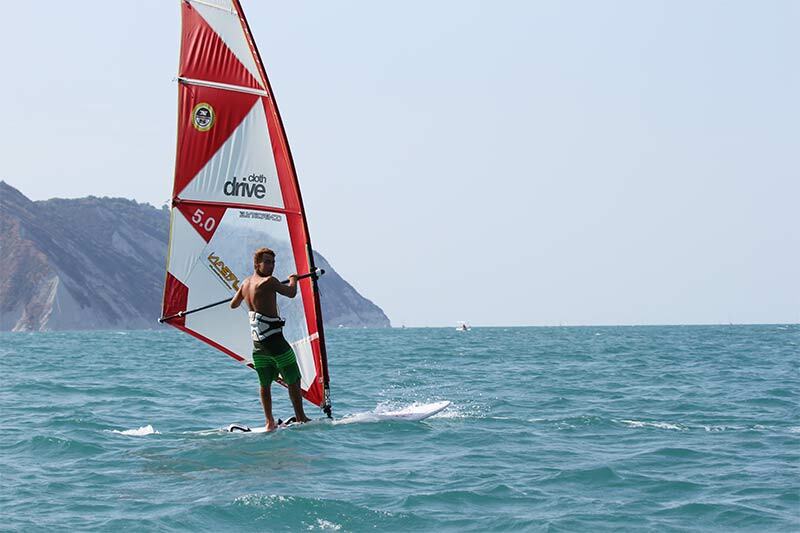 Rental of equipment for WINDSURF activities is available at the following locations: Portonovo and Marcelli. The Conerostyle School also provides the storage service of the material. If you are passionate and always bring your equipment with you, you can store it in a convenient box. 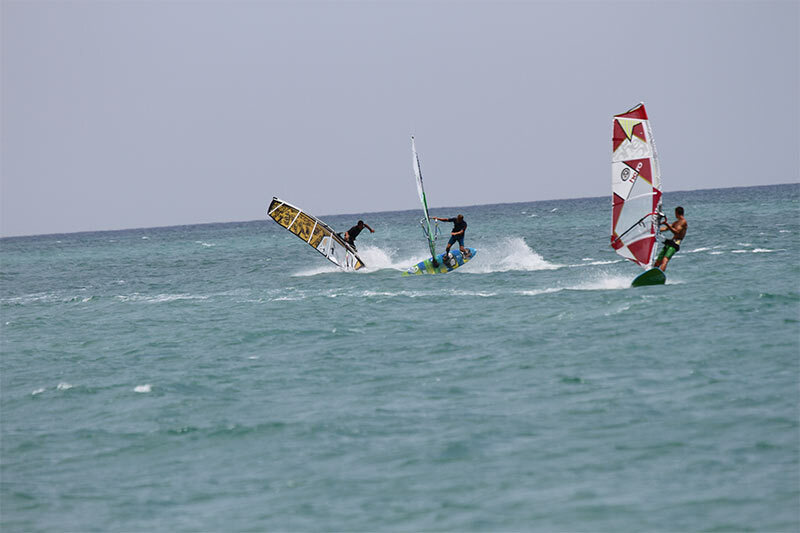 In fact, you’ll find the spot with flat water just 20 meters to learn the first glides, dart into slalom or try out new freestyle maneuvers. So you will avoid loading the wet material back into the car and finding it ready for the next day. Our service also includes insurance on the storage of material at night. There are also annual garages in individual boxes or shared with another surfer so as not to have to always load the material in the car and thus be able to reach the beach by public transport or scooter. 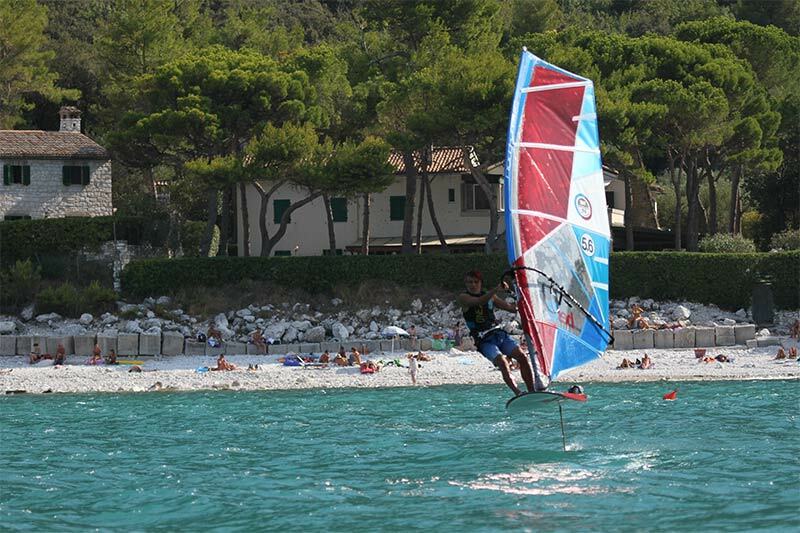 The storage activity for all the equipment from WINDSURF is currently available at the headquarters of: Portonovo. For any information contact us by phone at 393.4876607, leave us a whatsapp or fill out the form below.